This is not necessarily a new release, but I was out of town when it was introduced in Albuquerque. Reader Jeremy Ray should get credit for writing about it first, but that was on Facebook. And nobody reads Facebook. 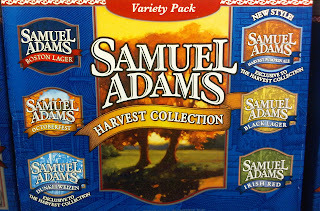 The Samuel Adams Harvest Collection is a 12-pack consisting of six different styles, two of which are exclusive to the Fall release: Dunkelweizen and Harvest Pumpkin Ale. I had an opportunity to try the pumpkin beer while away and found it to be pretty darn good, and certainly a cut above the other pumpkin beers we get in Albuquerque. Only problem is that if you want a six-pack of the Harvest Pumpkin, you'd have to buy three 12-packs of the Harvest Collection. The 30 beers you'd have left over aren't bad at all: Boston Lager (consistently drinkable), Irish Red (fine), Black Lager (very good Schwarzbier), Dunkelweizen (like the pumpkin, exclusive to this collection. I admit I haven't had it yet), and Octoberfest (varies a bit each year, it seems. This year it is a bit light in flavor.) I wish Sam Adams would release the pumpkin in six-packs. It wouldn't be the first "collection exclusive" that made its way into its own packaging: Latitude 48 IPA originally came only with the Summer Seasonal Collection but just came out in six-packs, complete with a reformulation of the recipe. The Harvest Collection is available all over town, but I only suggest getting it at the supermarket if it is on sale. 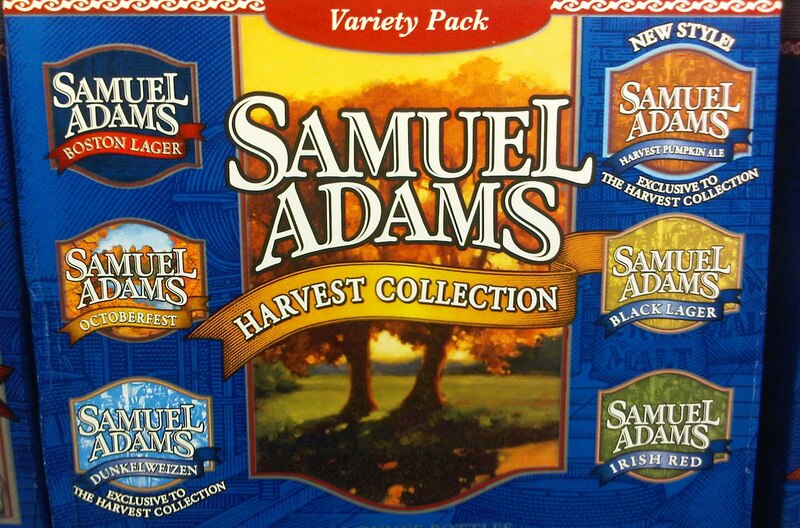 The regular price for a Sam Adams 12-pack at Albertsons or Smith's is around $16.99, and the regular price at local beer stores is $12.99-$13.99.